Beeswax/GlassdoorBeeswax’s chief technical officer, Ram Rengaswamy, Beeswax’s chief technical officer, Ari Paparo, its CEO, and Shamim Samadi, its chief product officer. Pointless meetings are killers for productivity and can annoy employees in an office. The executives of the startup Beeswax, all former Google execs, say they have learned how to keep meetings streamlined and efficient. Experts agree that keeping meetings short and small are critical to keeping them on track. A pointless, never-ending meeting is a great way to kill productivity in the workplace. The three founders of the ad-tech startup Beeswax seem to get that. The trio, all former Google ad executives, say their approach to meetings is a little different from how it was at their former company. “We’re all thoughtful about not having a proliferation of meetings, because one thing we all felt in our previous careers is that there can be lots of redundant meetings,” Shamim Samadi, Beeswax’s chief product officer, told Business Insider. For the executives, founding Beeswax in 2015 was their first time running a startup. 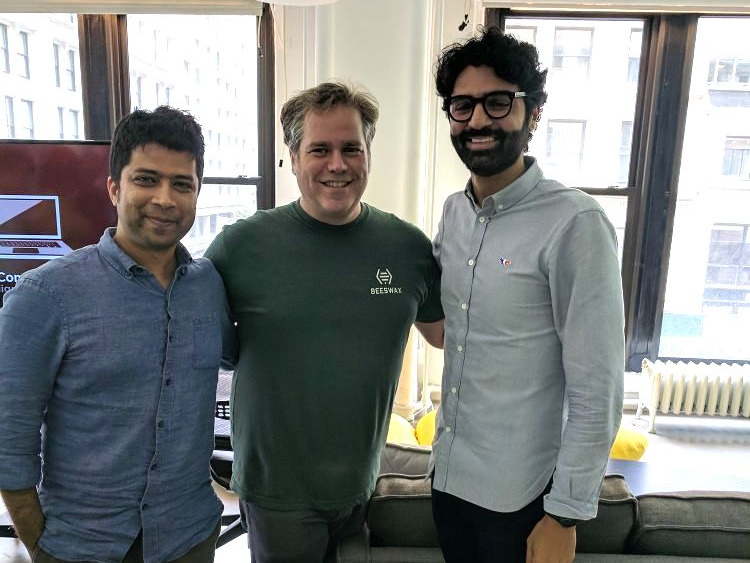 The Manhattan-based company makes software that helps marketers bid for ads in real time, and in three years it has grown to 55 employees. Managing a team that size has forced the executives to adapt quickly, Beeswax’s chief technical officer, Ram Rengaswamy, told Business Insider. Experts everywhere preach the same approach to meetings as Beeswax. The Harvard Business Review reported in 2015 that bigger meetings tended to be less effective than smaller ones. One expert told the publication that meetings needed to be limited to as few as four or five people to ensure everyone got a chance to speak in a 60-minute session. Amazon CEO Jeff Bezos had a similar approach: His “two pizza” rule says you should never hold a meeting where two pizzas couldn’t feed the entire group. And Annette Catino, the former CEO of QualCare Alliance Networks, told The New York Times that setting a clear agenda for meetings was the critical element to avoid wasting employees’ time.